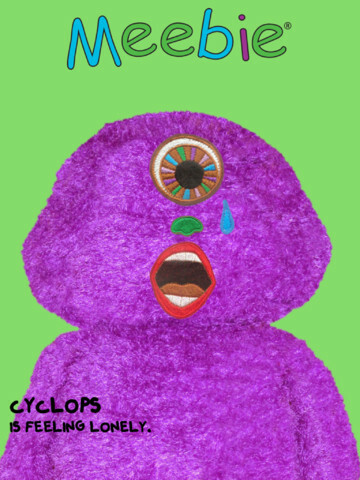 I decided to develop the app last year hoping it would help raise funding to make a new batch of our soft Meebie toys which are so loved by play therapists in their work with traumatized children. (Making an app these days generally does not raise that kind of money(!) so we abandoned that idea.) We also knew many speech therapists were using Meebie to teach feelings, so an electronic platform could be very useful there. 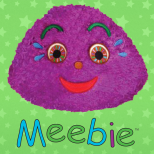 Soft Meebie is used globally to comfort and allow kids to express feelings. Many kids who don’t already have Meebie at home want to take something of Meebie home from their therapy visit, an electronic version makes that possible in a variety of ways such as with an app printout, or using an iPad at home. Some wonder how we are going to raise the funding to make the new batch of Meebies since the app was not going to fund it – Kickstarter – a very exciting platform! Interested parties can find out about the upcoming Kickstarter campaign by connecting with us on one or more of our contact options below. My memory is slightly shady here but I believe it was about one intensive month. In our culture, we are still given the underlying message to hide many of our feelings. Happiness is okay, confident and pleased are great, but sad, confused, hurt…? How do we learn about feelings and how to effectively handle them if we can’t be honest about all of them? The thing I love about Meebie is that it is for everyone. I passionately believe that everyone needs to be able to express their feelings and learn to understand and be compassionate about their own feelings, thereby learning compassion and understanding of others. Wow, imagine that! Well, truly it is a simple app with one main function of creating a face or face and body by choosing from eyes, noses mouths and various other parts – you can get really creative, and kids left to their own devices(heehee) do! But I also love the variety of feelings to pick from on the naming page and the option to type in any kooky or uniquely applicable feelings words one chooses. 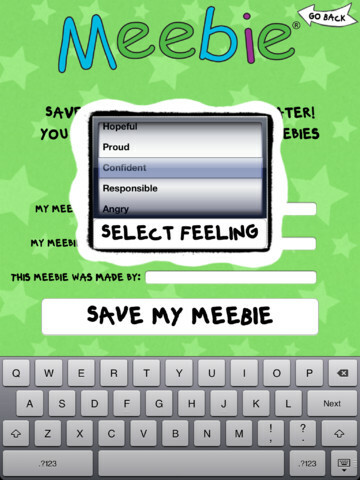 I consider Meebie to be a creativity app with serious social emotional benefits. It also has fine motor control benefits. My hope is that kids (and the occasional adults!) come away feeling a bit of relief in having been able to express something stuck inside. In the context of play, we sometimes allow ourselves to do just that. 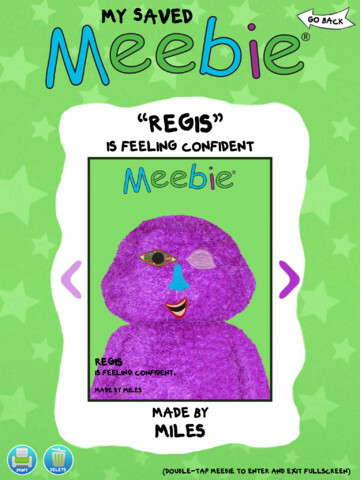 Meebie iPad app is rated 4+ but I would love to hear if people find the younger ones are enjoying it. Yes! An update is now expected for sometime around the first week of June. I am very excited about it as not only does it have a few new decorative pieces to choose from, it also implements some security features I believe are very practical – for example, a “press and hold” button for a parents page (where our logo links will be kept). Can hardly wait, and will be interested to hear what others think! Make faces on Meebie! Express feelings, name emotions – print your creations. A helpful inclusion for any social emotional learning program. An excellent tool for feelings expression and identification. Create games and feelings charts with printed pictures. …or just have fun! 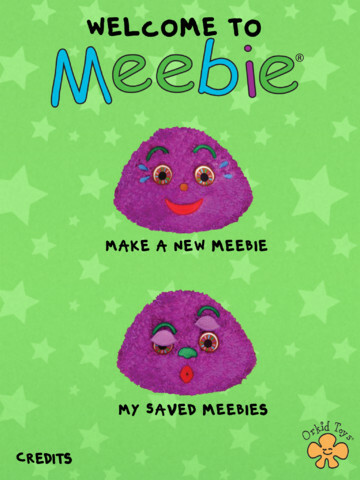 Meebie was developed after the award winning and acclaimed Meebie doll.